In some situations, patients are encouraged to be more independent. This can be especially true in rehabilitation settings, in which patients are transitioning out of being cared for by physicians and nurses and back home to exclusive self-care. In these cases, the Self-Care Deficit Nursing Theory can be applied to help patients be more independent and prepare to be released from the healthcare facility where they are being cared for. Dorothea E. Orem was born in 1914 in Baltimore, Maryland. In the early 1930s, she earned her nursing diploma from the Providence Hospital School of Nursing in Washington, D.C. She went on to complete her Bachelor of Science in Nursing in 1939 and her Master's of Science in Nursing in 1945, both from the Catholic University of America in Washington, D.C. Dorothea Orem died on June 22, 2007. 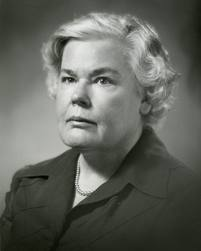 Dorothea Orem had a distinguished career in nursing. She earned several Honorary Doctorate degrees. She was given Honorary Doctorates of Science from both Georgetown University in 1976 and Incarnate Word College in 1980. She was given an Honorary Doctorate of Humane Letters from Illinois Wesleyan University in 1988, and a Doctorate Honoris Causae from the University of Missouri in Columbia in 1998. She was also given many awards during her career: the Catholic University of America Alumni Achievement Award for Nursing Theory in 1980, the Linda Richards Award from the National League for Nursing in 1991, and was named an honorary Fellow of the American Academy of Nursing in 1992. The Self-Care Deficit Nursing Theory, also known as the Orem Model of Nursing, was developed by Dorothea Orem between 1959 and 2001. It is considered a grand nursing theory, which means the theory covers a broad scope with general concepts that can be applied to all instances of nursing. The central philosophy of the Self-Care Deficit Nursing Theory is that all patients want to care for themselves, and they are able to recover more quickly and holistically by performing their own self-care as much as they're able. This theory is particularly used in rehabilitation and primary care or other settings in which patients are encouraged to be independent. The self-care requisites identified by Dorothea Orem fall into one of three categories. The first is universal self-care requisites, which are needs that all people have. These include things like air, water, food, activity and rest, and hazard prevention. The second is developmental self-care requisites, which has two sub-categories: maturational, which progress the patient to a higher level of maturation, or situational, which prevent against harmful effects in development. The third category is health deviation requisites, which are needs that come up based on the patient's condition. If a patient is unable to meet their self-care requisites, a "self-care deficit" occurs. In this case, the patient's nurse steps in with a support modality which can be total compensation, partial compensation, or education and support. One of the benefits of Dorothea Orem's Self-Care Deficit Nursing Theory is that it can easily be applied to a variety of nursing situations and patients. The generality of its principles and concepts make it easily adaptable to different settings, and nurses and patients can work together to ensure that the patients receive the best care possible, but are also able to care for themselves. Thanks to Dorothea Orem's dedication to nursing, as well as her hard work in the field, nurses can use her theory today to care for patients and make their transition from the hospital or full-time care facility to their own home much smoother.